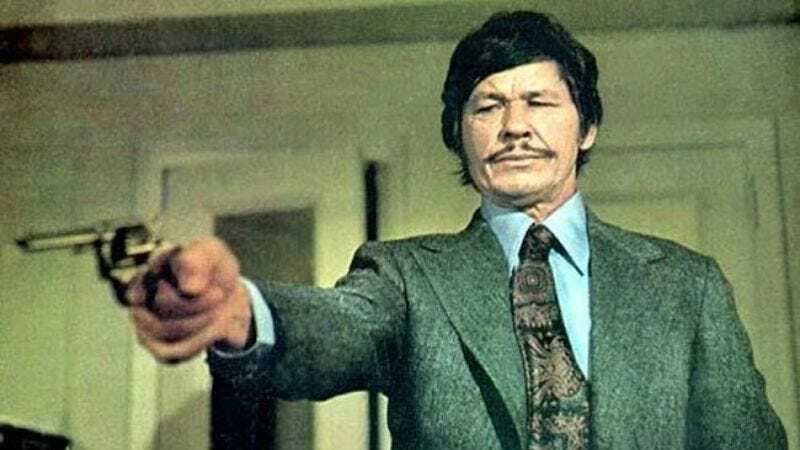 When Joe Carnahan left MGM and Paramount’s remake of the crude ’70s revenge thriller Death Wish, he did it with all the tact and good-neighbor diplomacy of someone calling the studio exec he was dealing with a “gutless turd.” Which is ironic, considering he was trying to bring a more thoughtful and meditative reflection on the idea of masculinity and violence to the project. Instead, the studio wanted a more straightforward brutal approach, so naturally they hired Eli Roth. But now, Carnahan is opening up about his shelved screenplay, and in so doing, manages to cast side-eye at the script for Roth’s version so intensely, his cornea likely got stuck at a 90-degree angle. In a new interview with Collider, Carnahan talks about the new direction of the remake, and as with most things Carnahan, he stops just shy of holding up the studio’s preferred product and emitting a giant fart sound. It’s, you know, if you don’t have something nice to say, you probably shouldn’t say it. I got a glimpse of that script, that was reported to be kind of a re-engineering of my script, and I would be less than hospitable if I commented on that. And whatever, I think they’re gonna get exactly what they want, and that wasn’t what I was interested in doing, and bully to them for sticking to their guns, and I’m content to stick to mine, and that script will live to fight another day. I think I’ll wait a few years and explore that, because I believe that it’s, in terms of that genre and revenge vigilante, I just thought it was so cool. And it’s set in a completely different place. A big part of mine was where it was set, which is L.A. It wasn’t cold weather, it wasn’t a Chicago or New York film, it was an L.A. film, and it was much more of a Michael Mann kind of world, Collateralkind of world, than it was the original Bronson. And I think they’re going back to something that hews more closely to that, which is fine, but I’ll be interested to see what it does and what the reception is. And with that, we learned that “I’ll be interested to see what the reception is” is the new “I hope your film dies in a zeppelin explosion and its ashes are spit on by children.” Carnahan also offered up a bunch of thoughts on the forthcoming Wheelman, and how great Grillo’s performance is—a sentiment with which we’ll probably all be on board, given the actor’s track record.